Looking for civil war books? Biblio.co.nz hosts hundreds of of the finest online book stores and booksellers, including specialists in civil war. Use the list below to locate a specific specialist bookseller or book store near you. Or, use the form below to search the inventory of all booksellers who specialize in civil war. Located In Historic Jonesborough, Tennessee. We Buy And Sell. Highest Prices Paid. Local History, Tennessee History, Southern History, Civil War And Southern Literature. First And Signed Editions. Vintage used and antiquarian books, our specialty being titles relating to West Virginia and the U.S. Civil War. 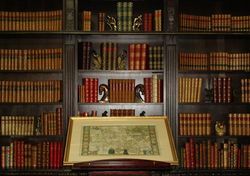 Alcuin Books located in Old Town Scottsdale is a store with 15,000 serious books for the collector or scholar. 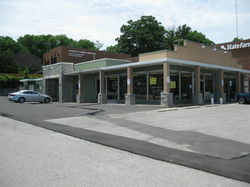 We have ample parking in front of the store for those who wish to browse our holdings. I have been selling books dealing with the Indian wars, especially George Custer, since 1986. I first published my own books under my own imprint of AST Press. More recently, I have published my books through other publishers, most notably the University of Oklahoma Press. I also buy and resell the book collections of other individuals. Other genres now include the Civil War, Old West, biographies and others. We are always open to by collections. I sell through our own web site, Indianwarsbooks.com, and others such as Biblio.com. I also continue to set up my inventory books at shows, including the Little Big Horn Associates, the Custer Battlefield Historical & Museum Assn. and Civil War shows. AzArrow sells bound reprints of rare and out of print books focusing on American history both general and Civil War related. Our mission is the preservation of the valuable historical information contained in our sources which are often impossible to find elsewhere. Our products, which generally focus on a county or small geographic region, provide a low-cost alternative to purchasing collector quality books. Since 1993 we have supplied collectors, scholars, and libraries with quality out-of-print books in the humanities. We are strong in original source histories and important literature in first editions. We are members of the Midwest Bookhunters, and have exhibited at many fairs, including Printers Row, the MWBH Chicago fairs at DePaul and Loyola, College of DuPage, and the Twin Cities Book Fair. We operate from our premises, where our 20,000-volume stock may be viewed by appointment. We also have a searchable website, www.bibliodisia.com. We are a bricks-and-mortar bookshop located at a busy corner on Main Street in Richmond, Virginia. 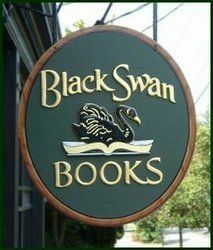 In 1997 Nicholas Cooke established Black Swan Books in Richmond Virginia and in 2012 James Cooke joined the family business opening Black Swan Books and Music in Staunton Virginia. Please visit us at either storefront or online. The Blue & Grey Book Shoppe specializes in Civil War, Local History, other American History, and all variety of non-fiction books - plus Music, Fine Art, Maps, Gift Items and Much More! Seller of history books- particularly Civil War, mystery books, and an eclectic selection of other categories. 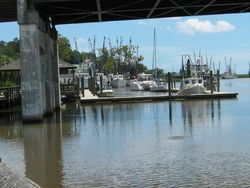 BOOKS ABOUT THE SOUTH is located on the Georgia Coast in Darien, Georgia's second oldest city. I specialize in books from the Civil War Period through the 20th century from and about the entire Southern Region of the United States, with a special interest in Georgia History. Our business was first established as Stone of Scone Antiques in 1976 in Connecticut. About 10 years later, my husband Tom, who had become intrigued with Samuel Colt and Colt Firearms, became a Federally Licensed Firearms dealer. We sold and appraised antique and collectible firearms, hand loading equipment, and ammunition. We also sold the typical antique items. Eventually we became disenchanted with antiques. Being a book lover most of my life, I decided to add books to our shop. We started with one bookcase and within six months we were putting an addition on the shop - just for the books. Then the books started to overflow into the house and we decided to list our books on-line. Therefore, Books by Jan was born. In October 2000, we closed our shop and relocated to the foothills of the Blue Ridge Mountains in North Carolina. We purchased a 50-acre mountain and built our semi-retirement log home on the top. We are 2,360' high with a view of the Blue Ridge Parkway, Mt. Jefferson in North Carolina, and Mt. Rogers in Virginia. t Living in the mountains is a pleasure every day. Books4U2day: Great books at a Great price! I Scour the Earth to locate the best Bibliophile artifacts conceivably available, and offer them to the Book enthusiast at the most reasonable prices imaginable. Burke's Book Store has been an independent book seller since 1875, selling new and used books. The Camp Pope Bookshop offers the largest online catalog of books on the Trans-Mississippi theater of the American Civil War. We also carry a selection of used and rare books on the Civil War and other subjects. 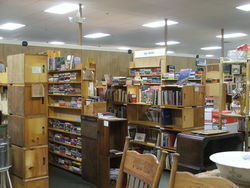 Dorothy Meyer - Bookseller was established in 1987 offering collectible and out of print books. We offer a full line of general stock with an emphasis on Americana, Children & Juvenile, Juvenile Series and Military. We are careful in describing the condition of the book and the dust jacket. All dust jackets are protected with mylar covers. All books are subject to prior sale. Member of Midwest Book Hunters. In business in Nashville, Tennessee for nearly 80 years, we specialize in rare and collectible books. We have an extensive Tennessee, Southern and Civil War inventory. Lots of Genealogy and Family History material. Southern Literature, Signed 1st editions, and Children's books. Come see us when you are in Nashville. Our store hours are 10am - 3-pm CST Monday through Saturday. 3037 Old Highway 431Downtown Historic Owens Cross Roads, Alabama. Open 1-5 Thursday thru Saturday, Sunday 1-5 Large Selection of General Interest Books as well as Magazines, Sheet Music, Postcards and other paper items. SELLING FINE USED AND RARE BOOKS SINCE 1986! Online store (Amazon, ABE, and Alibris) with booths at Scottsdale Antique Centre, 2012 N. Scottsdale Road, Scottsdale, AZ. Toll-free 877-817-8737. Questions gladly answered. Scans, pictures available. Professional bookseller for over 20 years. At HillTop Books we sell books of all kinds! Old & New! Current Bestsellers or Antiquarian & Collectibles. First Editions & Signed Editions! Primarily online seller with emphasis on better quality books.In the book business since the mid 1980s. We are a privately owned book selling business and take great pride in a diverse and eclectic inventory of books. We sell to most other countries of the World, [please see countries we sell too] We sell almost exclusively hardcover books, a large part are Signed, in many categories. Mclin Haven has been selling books for over nine years. Orders are shipped within one business day. Nick Bikoff and his wife Fran have been buying and selling quality books and ephemera since 1989 when they attended the "Colorado Antiquarian Book Seminar" at the University of Denver. 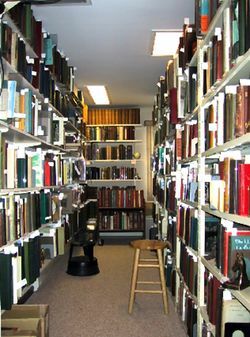 They offer a broad based selection of used, rare, and out-of-print stock ranging from the sixteenth to the twentieth century. Owners: Robin Smith and Anne Muren Years in business: 18 We buy and sell old, rare and used books from our 4 shops in Central Pennsylvania, online and at book fairs. We are general stock booksellers, and we carry quality used and collectible books in many categories, including: mysteries, children’s, Pennsylvania, military, cookbooks, technical books, science fiction, and much more. If you are traveling in central Pennsylvania, please contact us for directions to our open shops. We are a mail order business only; we don't have an open shop. Please call between 9-6 Central time. “Rosebud” is the first word spoken in Orson Welles’s film, Citizen Kane, and the movie closes with an image of a rosebud on a child’s sled. In between, the entire film is interviews with characters who knew Kane by a reporter trying to find what “rosebud” meant and why Kane would utter that word on his deathbed. “Rosebud,” in the movie, becomes a term synonymous with something greatly desired. My aim is to offer items that are as worthy of the quest as “rosebud” was in the greatest film or all time. By collectible, I mean “rare,” “desirable,” and in “excellent condition.” “Carefully selected” would be another apt descriptor for the types of items I try to stock. 15,000 books in stock, All subjects covered with an emphisis on history. Shop was founded in Minneapolis in 1950 and has been located in Hudson, Wisconsin since 1993. �Open by appointment only. 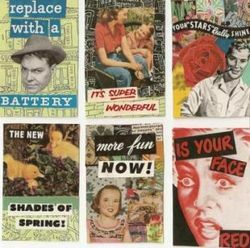 We stock over 20,000 used,new, rare and out-of-print books. Our books are neatly displayed and well cared for with most dust jackets in protective mylar. Want lists welcome. Libraries purchased. Bookseller: Judith A. Kissner. Stuart Lutz Historic Documents strives to bring you the finest in historic documents, autographs, letters, and manuscripts. We specialize in the correspondence of "household famous" people, such as the Presidents, Revolutionary War and Civil War figures, writers, scientists, entertainers, musicians, notable women, African-Americans, Signers of the Declaration of Independence, business leaders, and aviators. We also sell great content letters signed by eyewitnesses now lost to history�s dust. An established store specializing in modern literature, California and regional history, biography, politics, Civil War and world history. Shop online with Trackside Books for a large selection of vintage, collectible, antique and out-of-print books and other publications. We buy and sell autographed documents, letters and rare books signed by historical figures, including Presidents and notables in the fields of Literature, Revolutionary War, Declaration Signers, Civil War, Space, etc.